The marrows and courgettes have taken over, filling up the passage through the middle of the greenhouse and pretty much excluding other plants from the light. I don't particularly mind about the nasturtiums, which self-seeded anyway, but there are also tomato plants in there which are looking unhealthily tall and thin. 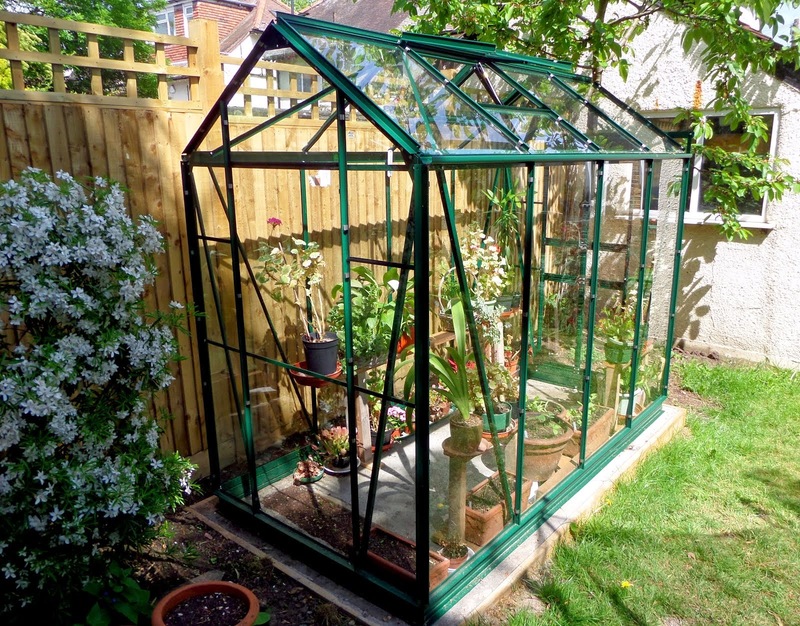 That may be partly because the greenhouse itself doesn't get as much light as it should, being in the shadow of the house in the morning and that of some large trees at the bottom of the garden in the afternoon. But obviously the big marrow leaves don't help. Now I've left the door open, hoping the plants will get used to more normal conditions for England. I have now rescued some of the lanky tomato plants from death by marrow leaf, hoping a new life in the real world will restore them to health.